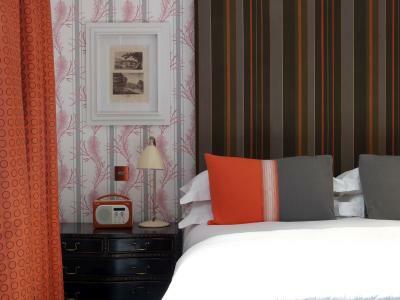 Lock in a great price for Charlotte Street Hotel, Firmdale Hotels – rated 9.6 by recent guests! Cozy bed, great location, clean and friendly staff! The room was spacious and lovely. The staff was friendly and reached out to see if we needed anything. Excellent location-we were able to walk to everything. 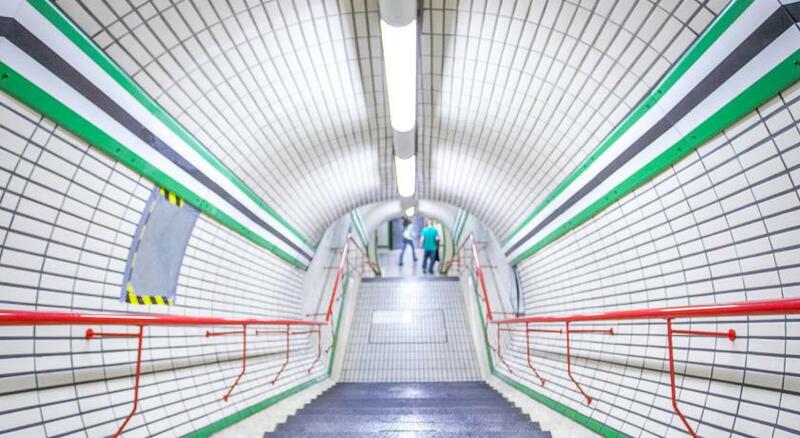 There are lots of restaurants in the area and 2 underground stations are nearby. Would definitely stay here again. Very tastefully decorated, excellent service and well situated - not to mention the comfortable, well designed room with an excellent bed. The staff was exceptional. Quality of accommodation was great. Bed was wonderful. I love the design of the hotel. I loved our room and bathroom. All the staff was very pleasant. Everyone was very accommodating and patient with our 3 yr old. We've stayed here a few times now and it's always a beautiful. 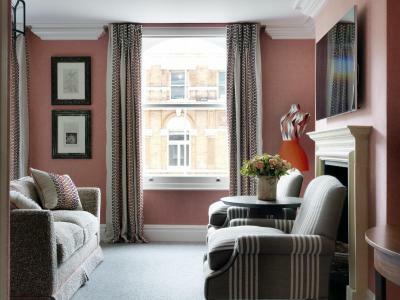 Having a lovely lounge to relax in is great after a busy day. 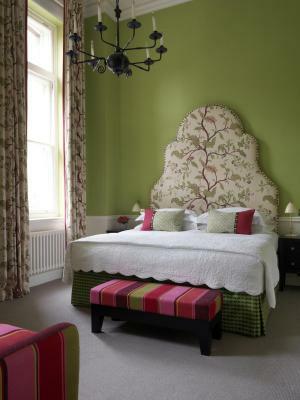 The staff were fabulous, bed sooooooo comfy, quiet room for London too. 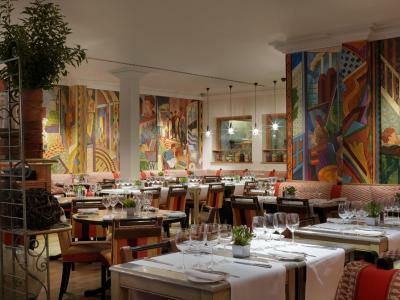 Charlotte Street Hotel, Firmdale Hotels This rating is a reflection of how the property compares to the industry standard when it comes to price, facilities and services available. It's based on a self-evaluation by the property. Use this rating to help choose your stay! 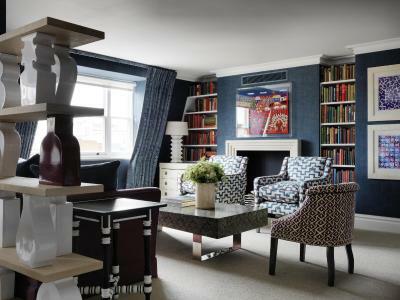 Featuring design to reflect contemporary London life, Charlotte Street Hotel also has features of classic elegance such as original fireplaces and a wood-panel library room. 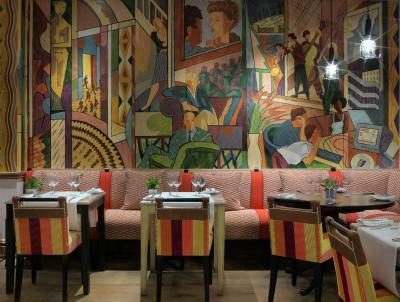 The hotel has its own brasserie while only a 5 minute walk from the many bars and restaurants of buzzing Soho. 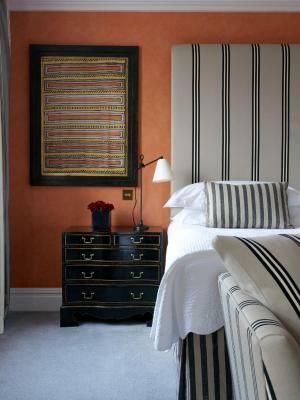 Bedrooms feature artwork from the early 20th century, and are styled with this period in mind. 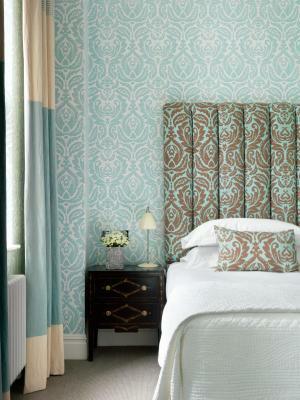 Classic prints and wallpaper accompany elegant beds and luxurious furnishings. 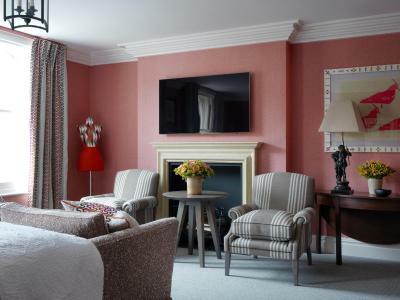 Each room with private bathroom comes with a TV, iPod docking station and a minibar. 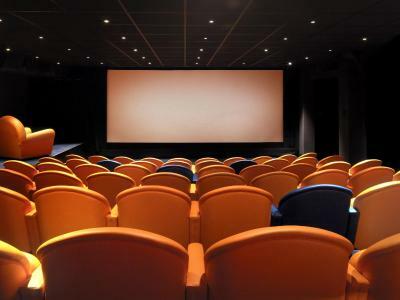 Charlotte Street Hotel features its own movie room, 24-hour room service and a gym. 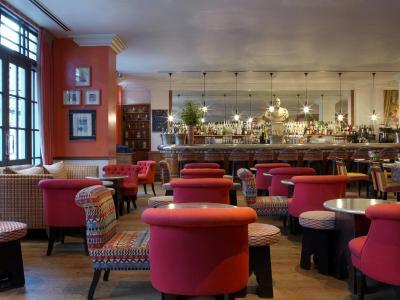 Guests can relax in the drawing room or enjoy a drink in the Oscar Bar and Restaurant. 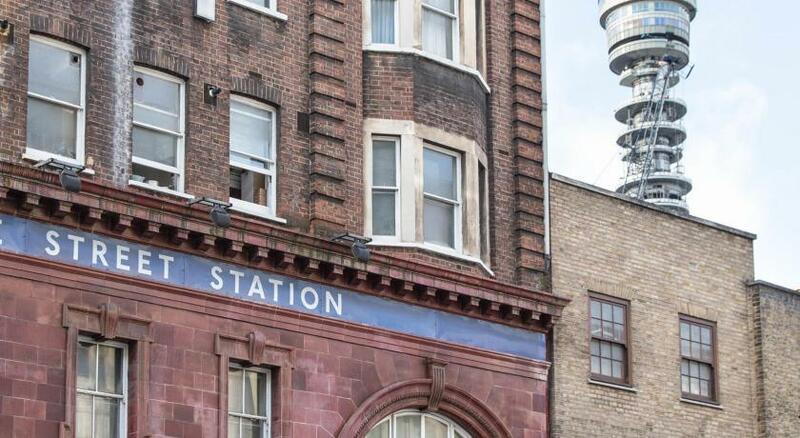 The hotel is just a 5 minute walk from Tottenham Court Road Underground Station, providing services to the Northern and Central lines. 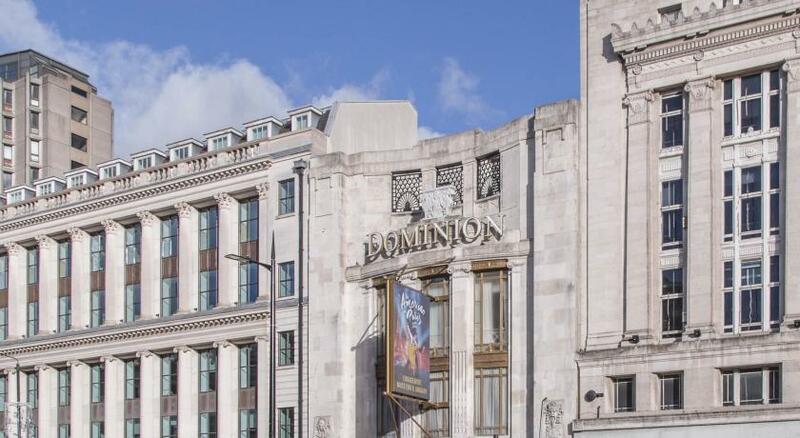 The famous shopping stretch of Oxford Street is a 2 minute walk away, and guests can be at the British Museum in just under 10 minutes by foot. 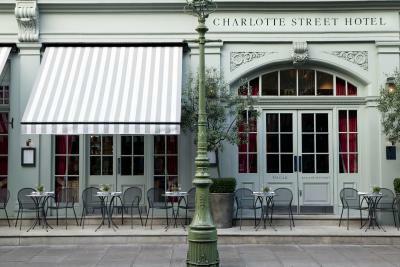 When would you like to stay at Charlotte Street Hotel, Firmdale Hotels? 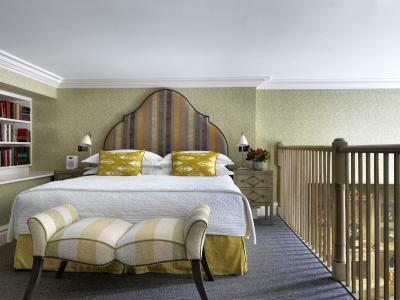 Equipped with a flat-screen TV and an iPod docking station, each room has a writing desk and a granite and oak private bathroom. Most have separate walk-in showers and two sinks. Please note, this room cannot accommodate extra beds or cribs. Public parking is available on site (reservation is needed) and costs GBP 44 per day. 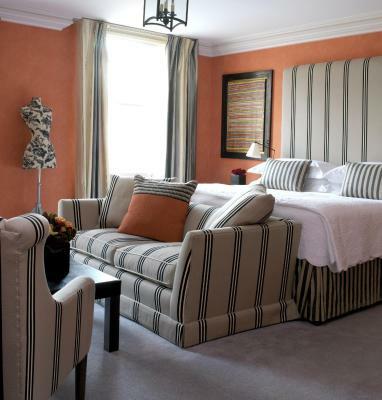 Equipped with a flat-screen TV and an iPod docking station, each room has a writing desk and a granite and oak private bathroom. Most have separate walk-in showers and 2 sinks. 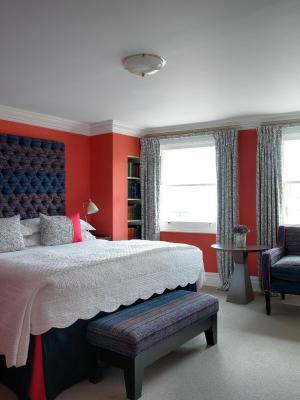 An extra bed can be added to this room upon request and subject to a charge. Please see Policies. Equipped a flat-screen TV and an iPod docking station, each room has a writing desk and a granite and oak private bathroom. Suites have a separate seating area and most have separate walk-in showers and 2 basins. 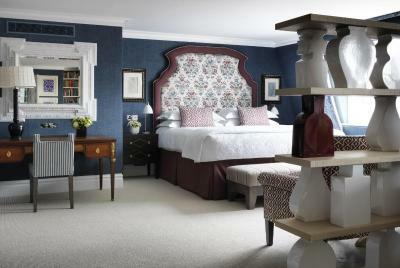 An extra bed can be added to this room upon request and subject to a surcharge. Please see Policies. 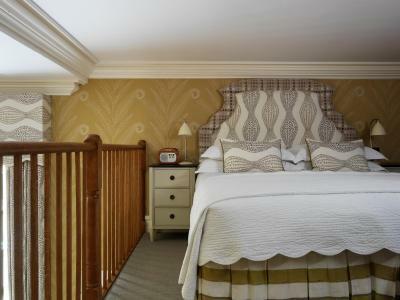 The Loft Suites are designed over 2 floors with a bedroom on the upstairs and a drawing room on the entry level. 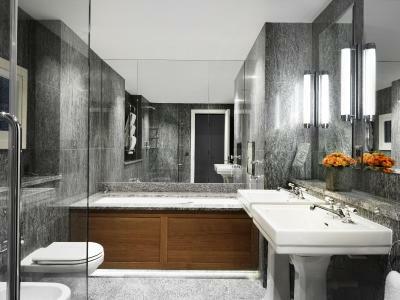 Bathrooms are beautifully designed in granite and oak and have separate walk-in showers and 2 sinks. 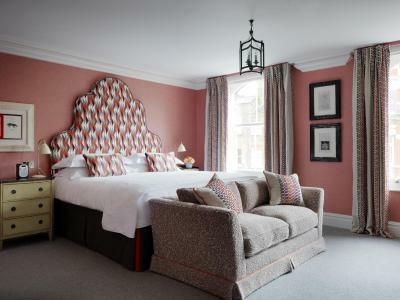 Equipped with a flat-screen TV and an iPod docking station, the Loft Suites are set over 2 floors with a bedroom on the upstairs and a drawing room on the entry level. Bathrooms are beautifully designed in granite and oak and have separate walk-in showers and 2 sinks. 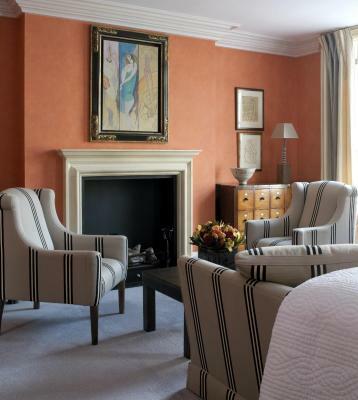 These spacious suites comprise of a separate drawing room, king size bedroom and bathroom. Bathrooms are beautifully designed in granite and oak and have separate walk-in showers and 2 sinks. 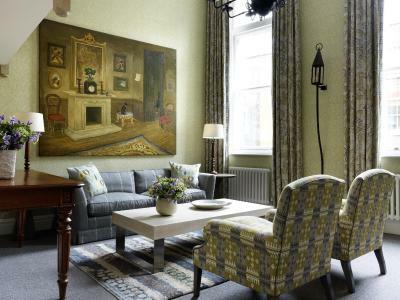 This is a stylish and luxurious open-plan suite. It is on the top (5th) floor of the hotel, is light and bright with views out over the London skyline. The spacious bathroom is beautifully designed in granite and oak with an oversize walk-in shower/steam room, 2 sinks and a flat-screen TV. 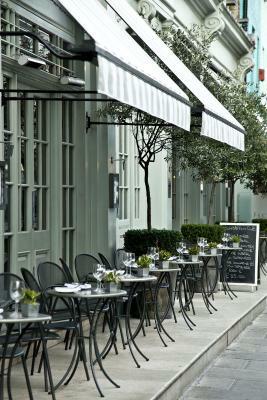 Charlotte Street Hotel is situated in the media neighbourhood just north of Soho. 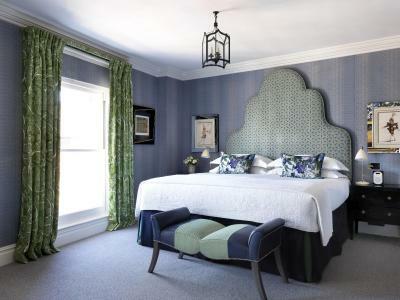 All rooms have been designed in an individual style by Kit Kemp There is a guest drawing room, library and Oscar Bar and Restaurant with an outdoor terrace. 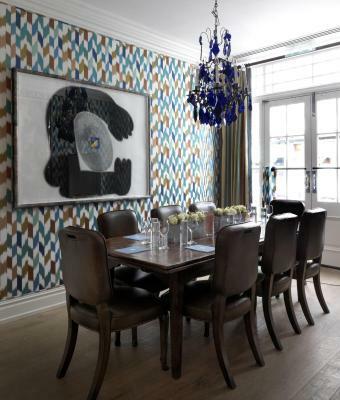 The Charlotte Street Hotel is part of the collection of eight individual Firmdale Hotels in London. 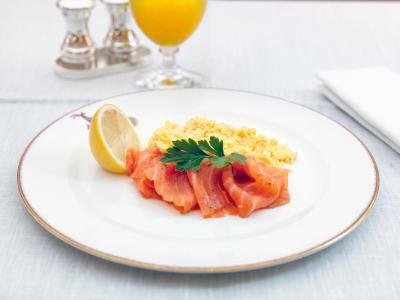 House Rules Charlotte Street Hotel, Firmdale Hotels takes special requests – add in the next step! 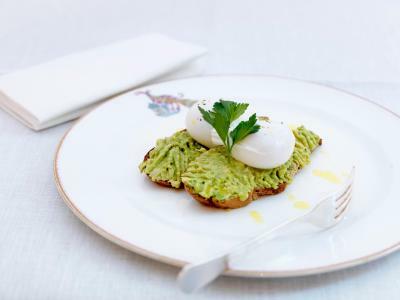 Charlotte Street Hotel, Firmdale Hotels accepts these cards and reserves the right to temporarily hold an amount prior to arrival. Please note, only the following room types can accommodate extra beds and cribs: Deluxe Room, Junior Suite, Loft Suite and Superior Loft Suite. 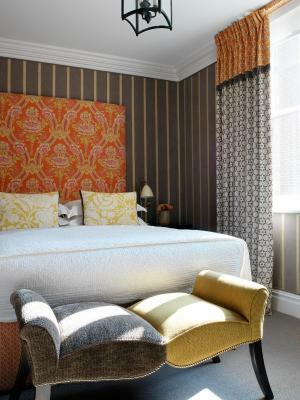 We'd love to be able to make tea in our room. Nothing really but a kettle in the room for tea would be nice but not a problem. 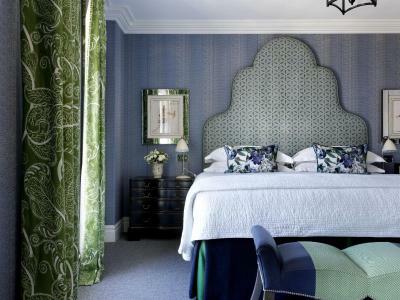 It’s always a pleasure to stay at the Charlotte. Couldn’t get hot water in the shower. At checkout told there is a tiny button to press. Wish we had known. 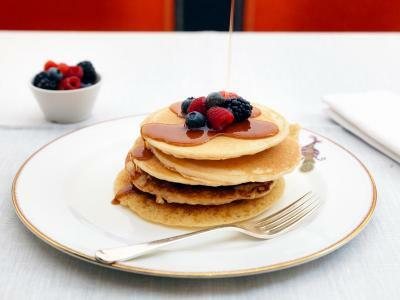 Lovely breakfast, room was very comfortable- will definitely be returning!!! The food ordered one evening by room service was not good - in fact it left me feeling sick; luckily felt better the following day. 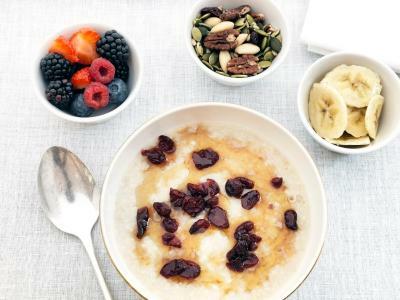 The breakfast buffet does not quite meet the expected standard of a hotel with such a high general rating. 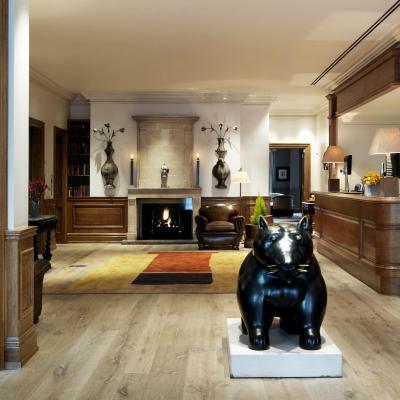 The hotel is also rather expensive - which is taken into account mainly due to its perfect location and appealing appearance and interior decor. Very friendly staff. Perfect, very central location. Cosy atmosphere. 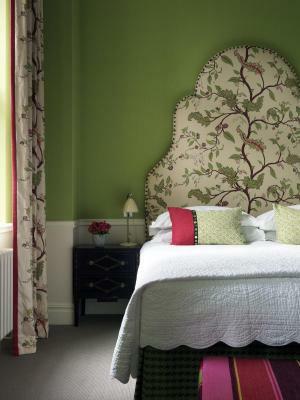 the decoration and style of room, the little details and touchs in each corners, walls and spaces. Location and friendliness of staff. Excellent. 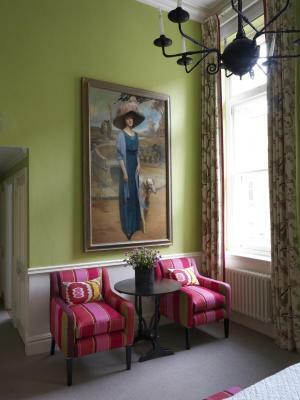 The staff were wonderful, the room was wonderful. 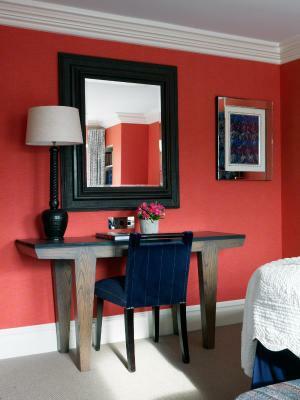 Everything clean, colourful, stylish. Loved it! Great location, very friendly staff and beautiful room. Excellent luxury hotel. No kettle in the rooms and money was taken. We liked the rooms lovely fresh and clean. Very comfortable. Nothing negative to say. Only thing that would have been nice would have been tea and coffee making facilities in the room. Staff were exceptional; attentive and friendly without being pretentious. The little touches added for my Mum's birthday were much appreciated. 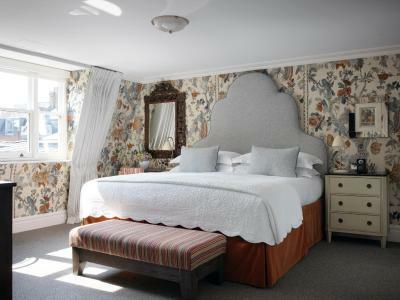 Room was beautiful; bed comfortable and the cocktails delicious. First time staying here and will be back! 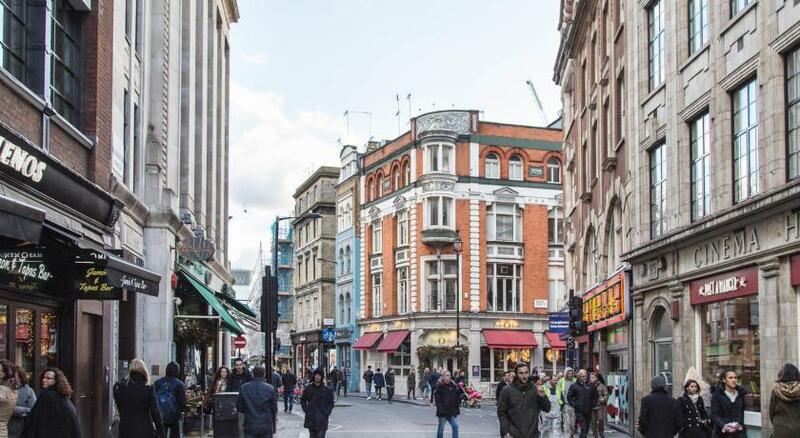 Location is also excellent for Oxford Street shops with plenty of bars and restaurants close by. Special thanks to the lovely doorman and lady that checked us in and out!